In accordance with our environmental policy, we continuously work on reduceing our environmental impact. Both through material and supplier choice, but also with regard to the energy we consume in our factory and at our offices. We have done an energy survey that guides us in what changes we should do to effectively reduce our environmental impact. We have received this contribution from Klimatklivet to implement. In recent years, we have carried out many energy-saving measures based on the survey. We have, among other things, replaced direct-acting electricity and oil to air heat pumps for heating our premises in Målskog outside Gnosjö. We have also installed air flow meters with temperature sensors to detect possible air leaks. Windows have also been switched to new, more energy efficient ones. In our warehouse, old fluorescent luminaires have been replaced with efficient LED lighting, and we have installed motion detector with timer to minimize unnecessary luminaires. 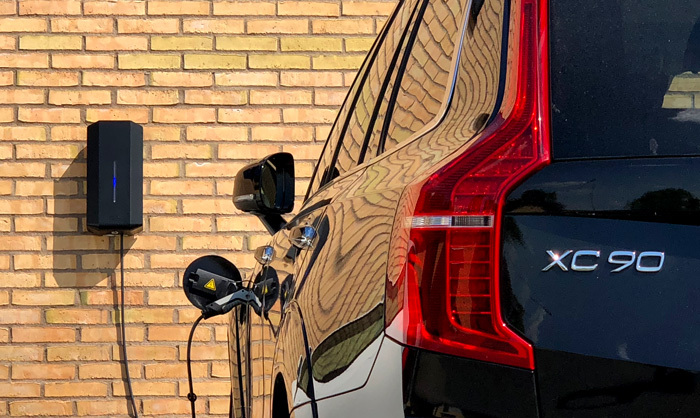 Outside the property in Målskog we have installed charging stations where we and our visitors easily can charge electric vehicles.